Your car deserves genuine Volkswagen parts from Sunrise Volkswagen in Lynbrook, NY ‐ serving Rockville Centre, Long Beach, Garden City and Franklin Square. 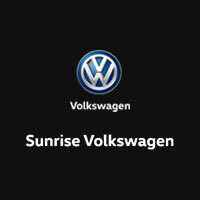 When you need to replace a part or you want to add some customization to your vehicle, come to Sunrise Volkswagen. We offer genuine Volkswagen parts at competitive prices, plus we’ll install them for you with the same precision that went into building your vehicle. You can order parts online, or call us at 516-240-2966 to order parts over the phone.